Protectants work as a soil retardant – they create a liquid repellent surface layer on fabrics that provides unbeatable stain protection. It’s a topical application, as opposed to an impregnating treatment. 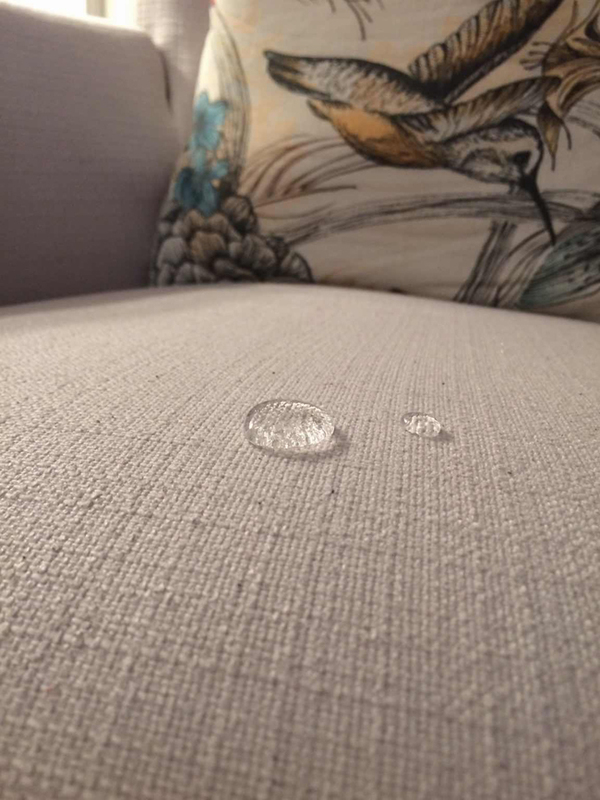 Unlike dip-treated fabrics which are immersed in a soil retardant, a protecter sits on top of the fibres, adding a highly effective layer of protection to your household fabrics and carpets without changing their colour or texture in any way. By applying a protectant protects your soft furnishings and carpets against most common household staining such as food, coffee and soft drinks spills as well as normal wear and tear. It also provides an extra physical barrier against damage that can be caused by small children and pets. Even the damaging effects of red wine spillages can be mitigated. Stains will come out quicker, making cleaning your upholstery, carpets and rugs easier next time round. What’s more, using a protective, will help your fabrics resist stains and dirt, meaning they stay cleaner for longer. A protectant can be applied at any time but protecting new or freshly cleaned carpets and fabrics is the most prudent option. It dries almost immediately and can be walked on virtually straight away, and certainly by the time the carpet has dried. Depending on the level of usage or foot traffic, Dri Wash Carpet Cleaning protection package can be effective for 6 to 18 months, when it will have to be reapplied. Why not make it a regular process every time you have your carpets cleaned. Vacuuming is more effective with a Protector, dirt is more easily picked-up, and fewer passes are required with the vacuum.